M: The themes are “globalization” and “local”, as well as films. T: I feel that this year especially there as been a revival in historical films, I mean, the number of historical films throughout the world is increasing. T: I think it’s because people throughout the world are wanting history, I mean a locally unique story. So I think it’s really wonderful that there’s a movement for everyone to get on with each other while still having their own unique story. T: In that sense too, what we are doing is of course for films, but also I’d like it to be used as a tool for international exchange and mutual understanding. M: I think the reason films are suited to that is that they appeal to our emotions. M: If you look at the Internet, people are exchanging opinions all over the place. They’re usually critical of someone, and, when you look at them, they’re more or less sound arguments. M: But society and people don’t operate just on the logic of a sound argument. M: There are still emotions. T: It’s not just logic. M: Yes, that’s right. I think that things learnt by being moved and having your emotions shaken leave a strong impression. M: I think we have to understand something on an emotional level before understanding the logic. T: That’s precisely like, say, with the Ukraine or Chile or Mexico or Brazil, we don’t know anything about their history, but a story of a boy being hit by his father and seeking help from his mother is the same anywhere. 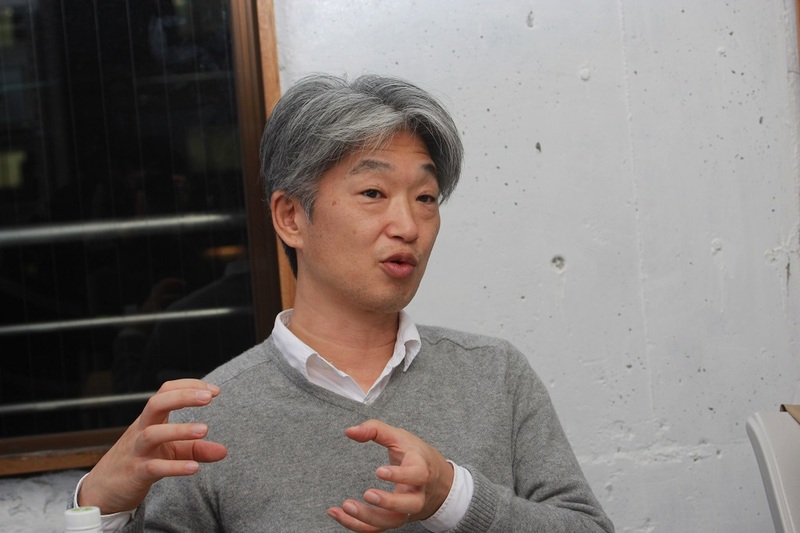 T: A story that has universality or emotion is a film that depicts that kind of thing. That’s the power of films. It transcends borders, transcends peoples, transcends history, and brings people together. That’s the kind of films I want to select for people to see. M: A film with a grand theme of the history of a people told haughtily with logic is instead inaccessible and probably doesn’t translate well to countries with a different culture. T: I know what you mean. M: Rather, the format might be a romantic comedy or it might be a family drama, but I think the unique history of the country told in that format is more accessible as a story, and it more easily conveys the culture of that country to people of other countries. M: I think that at a glance each film might seem like an entertainment film or an action film, but connecting them at a fundamental level is the fact they are historical films. T: This is particularly so this year with “Ruroni Kenshin” having English subtitles. Foreigners living in Kyoto already have a borderless existence, and their culture and the like transcend nationality. So I would like those people to come to the film festival and discover what’s interesting about the differences as well as finding things in common. 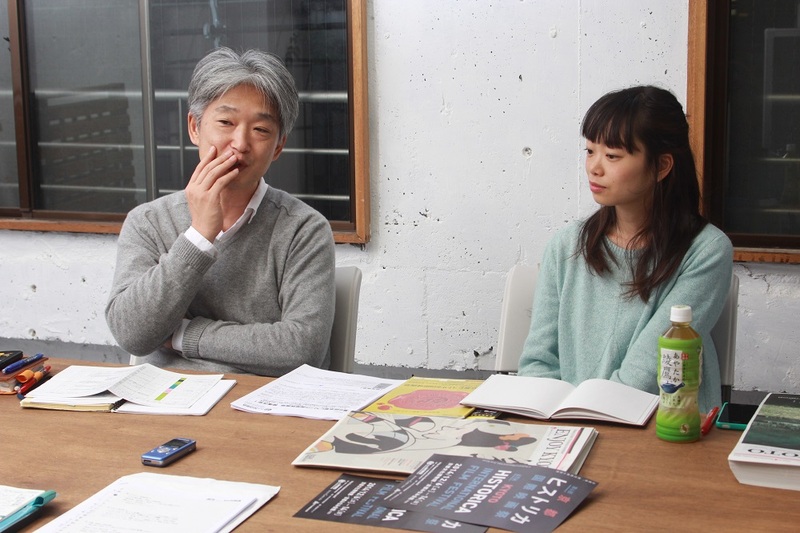 M: In that sense, foreigners living in Kyoto might find it easy to understand the significance of the Kyoto Historia International Film Festival. T: In the case of “Belle”, for example, slavery is something that is quite difficult for we Japanese to understand. M: That’s right. Even if we understand it intellectually, we don’t have the experience of having anyone like that around us. T: So in that sense probably there are things that feel more real to foreigners. Also, in the case of “Gold”, which is about the gold rush, there are the differences between America and Canada, for example. There’s a group of about eight people that come together. Why do they only assemble German people? T: It might be interesting to ask Germans living in Kyoto or Canadians living in Kyoto about that. M: I imagine that foreigners mightn’t know that Kyoto was a film capital either. T: There aren’t many cities in the world that have both history and films. In that sense, of all the cities in Japan, Kyoto is the only one that is qualified to hold an international historical film festival. Paris is probably the only other one in the world. And Moscow. M: Yes, I guess you’re right.